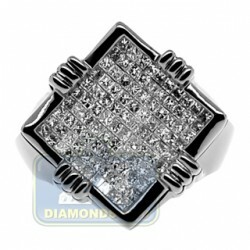 Our mysteriously looking ring will surely inspire your imagination! 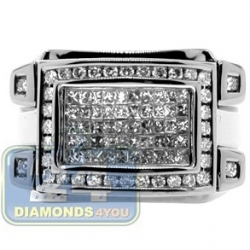 A shimmering four-row rectangle of princess cut invisible set diamonds is handsomely centered, and artfully accented with round cut brilliants on the top and bottom. 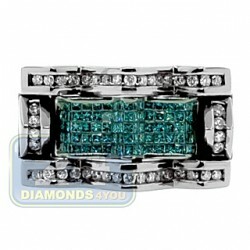 All these stones are G-H color with SI1-SI2 clarity and weighting 0.97 carat in total. 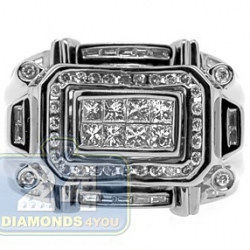 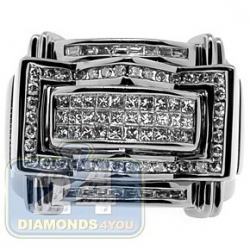 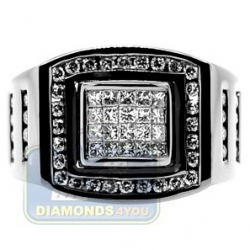 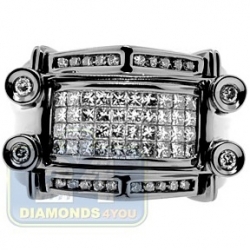 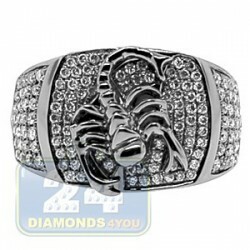 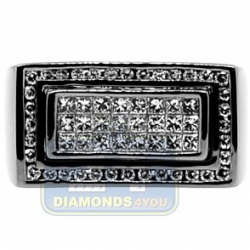 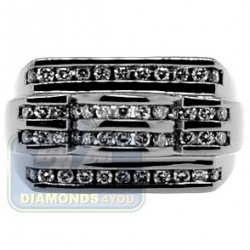 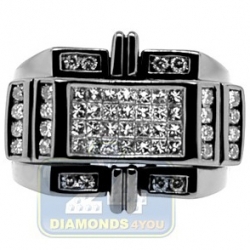 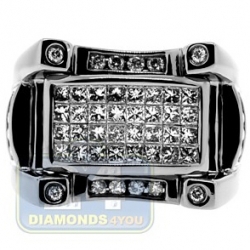 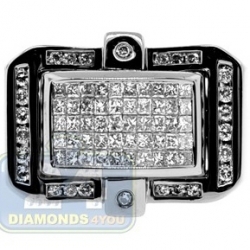 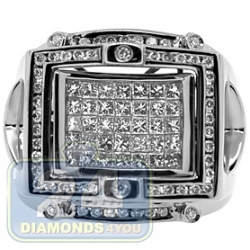 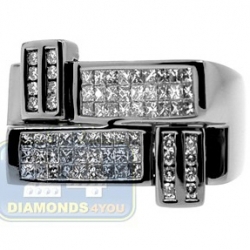 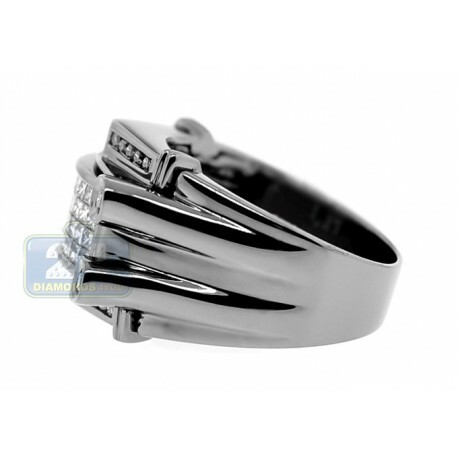 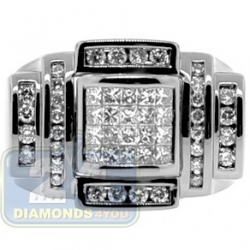 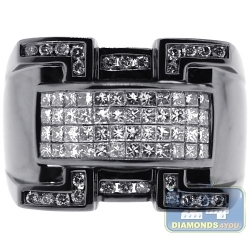 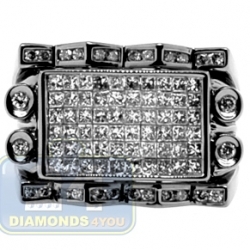 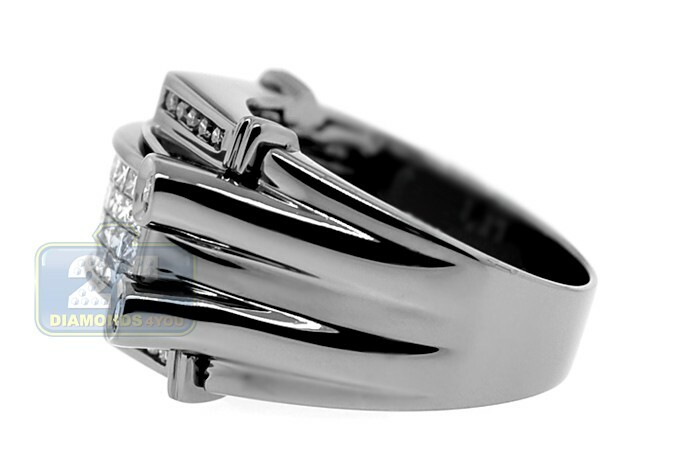 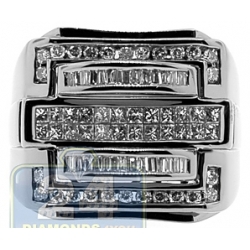 The setting is professionally handmade of 14k white gold with special black pvd coating. 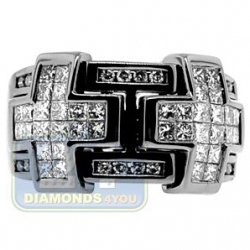 Enjoy this two tone design that can be perfect with almost any formal and informal outfit.